Buchu is perhaps the best known Aromatic herb from Southern Africa. The scent contains secret mysteries of ancient times and one feels that if they immersed themself in the scent, I would be able to capture some long forgotten magic. Buchu is endemic to the mountains of the Western Cape in South Africa and is found from Clanwilliam in the north, to Stanford in the south, and east as far as the Outeniqua mountains, in the so-called “fynbos” strip. In their natural environment they grow in Mediterranean type climate with hot dry summers and rain during winter months. The soils are mostly nutrient poor sandy soils with low pH varying between pH 3.7 and 5.3. Buchu plants grows naturally on steep slopes with altitudes that range between 737 m to 2 028 m above sea level. Buchu plants start to grow during August when the days start to become longer and temperatures increases after winter. It is also the time when rainfall starts to decrease. Most rainfall occurres in the fynbos areas during the months of June, July and August. Buchu, is classified under the same family as citrus plants, Rutaceae, with its genus being Agathosma. It was previously also known as Barosma. The use of Buchu has a long and venrerable history in Southern Africa and was particularly sacred to the Khoesan who introduced it to the Western colonists. 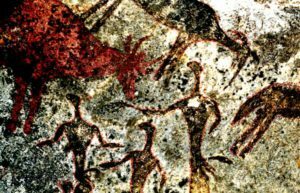 The word ‘Khoisan’ was a constructed compound that was coined by Leonhard Schultze in 1928 as a collective term for the Khoekhoen and the San. Khoe, meaning ‘men of men’ or ‘people of people’ in most Khoe languages, and San being the word Khoekhoen use for Bushmen Khoe pastoralists and San hunter gatherers. The preferred word today is Khoesan. 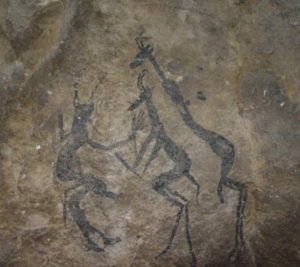 Although in the past there was a lot of debate as to the exact origins of Khoekhoen, it now appears that the Khoekhoen were originally San hunter-gatherers who adopted the practice of herding sheep and later cattle from neighbouring Bantu groups.The Khoekhoen and the San share the same ancient Southern African genetic heritage that can be traced back to the beginning of modern humanity. 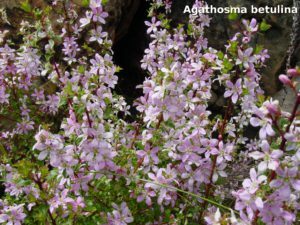 Among the Khoesan buchu is both a generic name for a blend of dry ground plants for an aromatic perfume powder, and the name for plant genus with different species. Particular botanical species are obscure in San oral traditions. 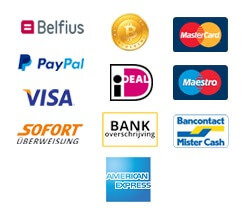 Only generic terms are mentioned without mentioning particular species. The following story illustrates how intricately woven Khoesan’s cosmological association with buchu is, and it gives clear indications of how Buchu was used by the Khoesan. The Khoesan calls the rain being !Khwa. !Khwa is the embodiment of the rain and of the water in the water hole, his home. The Khoesan thought of the rain as male and female. Heavy rain with thunder is male, and light gentle rain is female. The same can be applied to buchu among the Khoesan, as although buchu has strong feminine associations it is also un-gendered. Buchu is used to both pacify and stimulate. 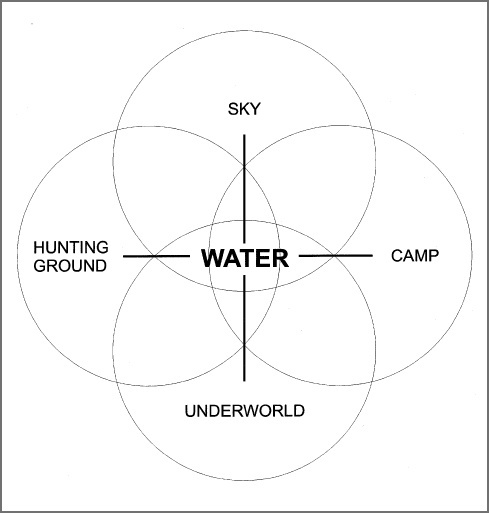 The waterhole is seen as a gate between the worlds of the living and the dead; a gateway between realms. !Khwa possesses the ability to change his form at will, and most often manifest as either the watersnake or the waterbull. The presence of water buchu (possibly A.crenulata) at a water source was taken as an indication of the Water Snake’s dwelling place. One night, as they all gathered around the fire after the evening meal, Mantis began to talk. “Rain,’ he said, ‘was a person of the early race, and rain could take the form of anything he chose. Once Rain came down to earth in the form of a Water Buffalo. He was trotting along, trotting along, his breath forming a gentle mist all around him. After a while he noticed a delicate fragrance as he breathed in the cool air, and he tracked the alluring scent to a small camp, where, however, there was no sign of any people. Still, the aroma was stronger than ever and he followed his nose to the entrance of a small hut, where a young woman, Khwa, lay on her sleeping skins, sick. She was tended by her sister who was also taking care of her baby. The rest of the people had gone out in search of food. Khwa’s sister had gently rubbed buchu over her body, to help her recover, and it was the smell of the herbs which attracted Rain. There was a bundle of it lying beside Khwa. Lifegiving rain, lifegiving rain. Khwa was mesmerised by the music. Little by little she felt the sickness leaving her. She got up and gently took her baby from her sister’s arms and nursed him. When the baby fell asleep, she lay him down on the soft sleeping skins, and left him in her sister’s care. She picked up the bundle of buchu and went to the door of her hut where Rain stood watching her, humming softly under his breath. Life giving love, lifegiving love. After a while Khwa became tired and asked Rain to set her down in the shade of a tree so she may rest. This he did. She rubbed him all over with the buchu and he becamme so relaxed, he fell asleep. While they were resting there, Khwa felt a tapping in her breasts and knew that her baby needed her. She tiptoed quietly away, not wanting to wake Rain, and followed his tracks home. On the way back she came to a waterhole and washed herself clean of the smell of the bull, and all that remained was the sweet scent of Rain. As the sun was setting, Rain felt cool lying under the tree and woke up. He thought Khwa was still on his back and he trotted along, trotted along, until he came to a crystal clear spring where the water bubbled out of the ground. Finally he found a home from where he could make life-giving rain for the plants and creatures of the earth. And, because Khwa had shared her sweet smelling healing herbs with him, it inspired him to stay and bring rain to the people. 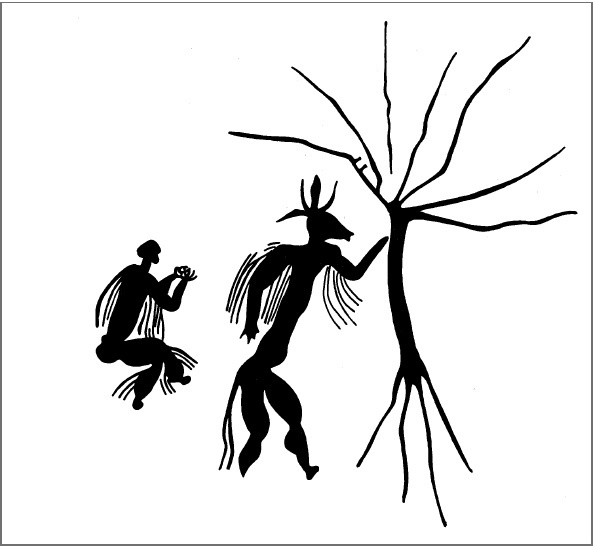 From the story one can also see the important role scent plays in the Khoesan cosmology. The rain, among other things, such as, winds, was said to have smell which represented its power. According to Christopher H. Low Khoisan, the reason for buchu’s significance (among the Khoesan) seems to lie in the richness of the smell and the Khoisan association of smell with potency… unlike Western appropriators of the plant, Khoisan relationships with buchu relate to smell as an agent of physical and mental transformation. The smell of buchu has been conceived by the Khoisan as a potent force with a role in healing, in perfume use and certain rituals. Among the San, all things in creation have degrees of Supernatural potency called “n/om”. People with strong potency are called “n/om k”xausi” – owners of potency. N/om must be controlled and contained, otherwise the healer is rendered unconscious or turns into a malevolent creature. When the n/om becomes too strong it becomes dangerous. The “n/om k”xausi” can only heal when they learn to control their boiling n/um, or energy. It is in this context that Buchu especially plays an important role. When the healer returns from !kia people let him smell buchu, for they want his “veins to lie down” to calm the n/om. The calming effect of buchu is also described in the capturing of the rain animal. 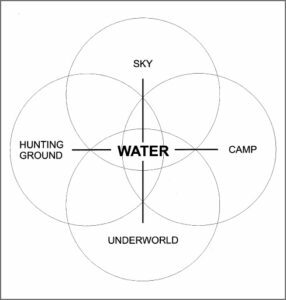 Ethnographers have recorded that “n/om k”xausi with rain potency, would enter the spirit world and capture the rain-bull from the waterhole where it lived when rain was required, and then led it across the land to desired places for rain rites. In order to pacify the rainbull the medicine men had to rub themselves with powder of buchu for ‘if the bull had smelt buchu, it would have been calm and gone quietly without struggling’. Smell or scent is thus a carrier of potency – n/om: Odour, in San thought, is a medium for the transference of power. The same belief of smell as carrier of potency is extended to burned fat, ointments and aromatic herbs. Medicine plants especially possess strong n/om and the etymology of the word ‘n/om’ itself gives clues to the conceptual link between plants and potency. The metaphor “boiling ([n/om] – to boil) refers not only to the boiling water, and the boiling of the n/om, but also to the ripening of plants. An alternative Khoesan word for the buchu is sâi. The word buchu seems to be used more in South Africa and sâi more in Namibia. In contemporary Khoe the verb sâi means to ‘gather, glean, collect, and pick up. Sian Sullivan and earlier researchers have found that there is a particular Khoe association between women and perfume preparation and that the buchu held in a Khoe woman’s powder box, ‘was the symbol of her femininity, and the symbol of her feminine potencies, of fertility and ‘giving life’. During puberty rites the initiate, referred to as the “new maiden”, represented “the rain’s magic power” A young girl emerging as a woman first task was to go to and sprinkle buchu on standing water to appease the watersnake or rainbull. Young girls who experienced their first red moon (menarche) have particularly strong n/om and can transfer the potency. The girl, is thought to possess power to confer fertility, and with this object in view the girl scatters buchu on all male animals and growing plants which she encounters. Consequently many useful remedies were discovered through the use of indigenous plants of Africa. 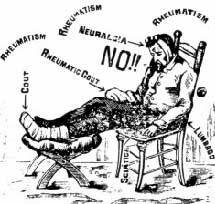 From then on it became part of the Afrikaner folk medicine chest and was generally regarded as a panacea for all ills. Illona Meyer mentions in her article “Home Remedies at the Cape” that she found in a study of the inventories of the people at the Cape, from 1673 to 1826, that Buchu in all its forms, is mentioned in the inventories during this period: a bag with dry boecko, boegoe brandy and buchu vinegar. Steeped in vinegar it was used as an embrocation for fractures, swellings and slow healing wounds. To this day whenever I smell Buchu I see images of Buchu steeping in bottles of brandy. Buchu Brandy was used as a digestive, for nausea, rheumatism, bladder and kidney infections and for coughs and colds. The tea was used to ease cramps, colic, indigestion, chills, coughs, coughs and anxiety. The early Dutch settlers in the Cape introduced Buchu to the Netherlands. In the latter part of the 1700’s it became known as ‘Noble’s tea’, because only the very rich and the nobility could afford to buy it. 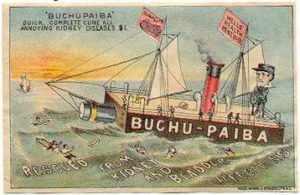 In 1821 Buchu was officially registered in the British Pharmacopoeia as a diuretic. It became one of the few South African herbs to be listed in modern pharmaceutical reference books in America, Britain and Scotland, particularly with reference to its use as a treatment for infections of the genito-urinary tract. In the late 1800’s leaves were dried and baled and exported to Europe and America. The first commercial plantations were planted in the Piketberg region. Buchu was first distilled in South Africa by the Chicken Family for its essential oil in1968. Before that South Africa only exported the Buchu leaves and it was vacuum distilled overseas at huge cost. A myth existed that Buchu could only be vacuum distilled. When South Africa started to produce Buchu oil locally, blind tests conducted confirmed that the oil produced locally was as good if not better than that produced with vacuum distillation, at a fraction of the costs of vacuum distillation. Currently, buchu oil is one of the most sought after and expensive indigenous essential oils and its demand far exceed the supply. 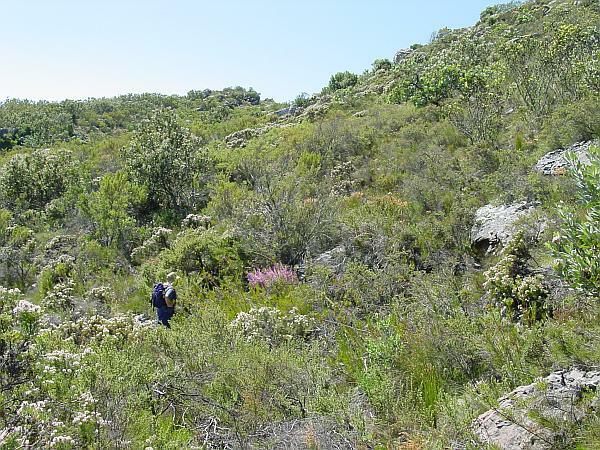 This species requires typical mountainous fynbos conditions to grow. Buchu cannot be produced easily outside its natural habitat. Although there are more than 130 species of Buchu growing in the wild, only two are commercially viable in the essential oils market. The specie Crenulata and Betulina have a high oil content and are the main source of commercially harvested Buchu. 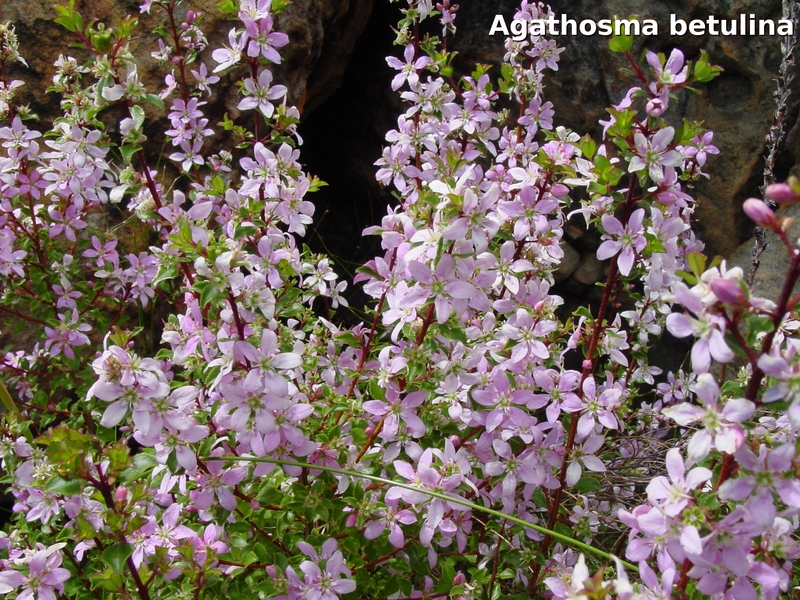 Agathosma betulina (round-leaf buchu) is a perennial shrub indigenous to the mountains of the South-Western Cape. 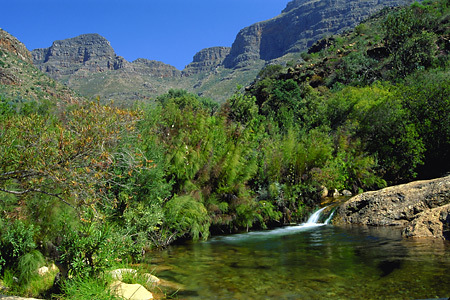 It occurs naturally in the districts of Ceres, Tulbagh, Piketberg, Citrusdal, Clanwilliam and Calvinia. The flowers are star-like and white or mauve in colour. A. crenulata is a woody shrub with larger, elongated leaves and grows to a height of 2 – 3 meters. The flowers are also star like and white to mauve in colour. The main chemical components of A. betulina is Limonene, Menthone, Isomenthone, isoPulegone, pulegone, diophenol, p-diosphenol, c-Mercaptone, t-Mercaptone. and in A. crenulata:. Limonene, Menthone, Isomenthone, isoPulegone, pulegone, diophenol, p-diosphenol, c-Mercaptone, t-Mercaptone, c-Acetylthiol, t-Acetylthiol. 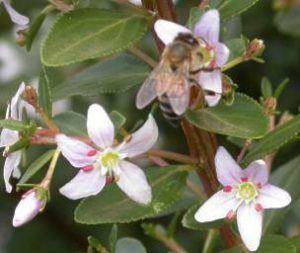 Together with rooibos and honeybush tea, buchu is one of three South African medicinal plants used in international medicine and is recognised by the British Pharmacopoeia Martingdales. Crenulata however, is not recommended for medicinal use due to its high pulegone content between 31.6% – 73.2% as opposed to 2.4% – 4.5% in A. betulina. Pulegone is hepatotoxic and thus can cause liver damage in high dosages over a long period. It has also been found that if Buchu is harvested before it is more than one year old the pilegone content is also very high as pulegone protects the plant from predators. There are two chemotypes of A. betulina; an isomenthone and a diosphenol chemotype. The diosphenol chemotype contains a high amount of diosphenol content and a low content of of isomenthone and menthone. The isomenthone chemotype has a high isomenthone content of more than 31%; menthone of 27% and low diosphenol of less than 0.14% concentrations. Both chemotypes contain less than 5% of pulegone. The isomenthone chemotype is mainly found in parts of the Piketberg Mountains on northern and western slopes, whereas the distributions of the diosphenol chemotype are mainly found in the mountains surrounding Citrusdal, but the diosphenol chemotype is also found in Piketberg as well as the Cedarberg. The farming and cutting of Buchu is very specialized. Experienced cutters, who hand the specialized method of picking down through generations, harvest buchu. Buchu should be harvested during the months of February through to March. The best time for harvesting is in February. This is based on the fact that that the pulegone content is low during that time of the year. Most species of buchu flower during between September and February, harvesting during this time prevents seed production. For seed production harvesting standards are required to ensure that Buchu is not harvested during the flowering season and that a sufficient proportion of each plant is not picked, to allow sufficient regrowth. The highest pulegone content is recorded between October and November. Buchu leaves that are harvested have to be processed as soon as possible after picking, to maximize the oil yield. The Buchu plant can live and produce for up to 100 years. It is the diosphenol and isomenthone content of Buchu essential oil that is a valuable raw material for the flavour and fragrance industries. It is mainly for this reason that for over 30 years, buchu oil has been exported to the world’s major flavour houses to be used as a natural flavour (fixative/enhancer) in food products requiring a black currant flavour. The oil is approved by the American Food and Drugs Administration (FDA) and the European Union for use in foodstuffs. The South African Buchu industry has had mixed fortunes in the past and is considered to be in danger of substitution once again unless the prices drop. In the last century, it was much in demand in Europe until the 1960’s onset of the synthetic flavour market. Cheaper, easier synthetic options pushed Buchu off the international map, and it was only in the late 1980s and 1990s, with Germany’s burgeoning consumer interest in things ‘natural’, that Buchu made its current comeback. Due to the high demand for for natural ingredient alternatives as opposed to the synthetic versions, the demand for Buchu oil increased significantly from the beginning of 1990, resulting in a marked increase in the price of the product over the following ten years. The weakening rand during 2000 and 2001 contributed in further inflating the price – it traded up to R70 a kilogram. Buchu was harvested in the wild every second or third year, allowing the plants to seed and ensure long-term stability. With the demand growing, unsustainable annual harvesting and illegal poaching became the order of the day, and there there was even talk among some farmers to employ the San to protect the Buchu. With the increased exploitation of wild buchu supplies Buchu’s future survival was jeopardized and it became extinct in some areas. In August 1999, the Agricultural Research Council (ARC) of South Africa initiated a project to protect the country’s indigenous genetic material, prevent buchu from becoming extinct, create jobs and serve the national economy.